We have all heard of the fad for DNA ancestry testing. Being a paranoid, I haven’t joined the crowd, because all testing companies are happy to hand over the results to the police, and what if I need to keep quiet some heinous crime I commit where I leave my DNA behind? Not to mention, what those tests claim to reveal about you is limited, in many cases, by inadequate comparison data, which the companies fill in with lies. But that lack of comparison data is swiftly being remedied, both in the present, and in the past, which is the topic of this book. 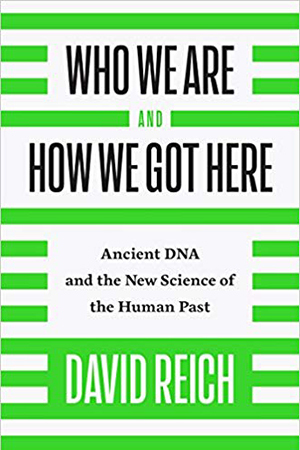 As with Steven Pinker’s earlier The Better Angels of Our Nature, of which this is really an expansion and elucidation, I was frustrated by this book. 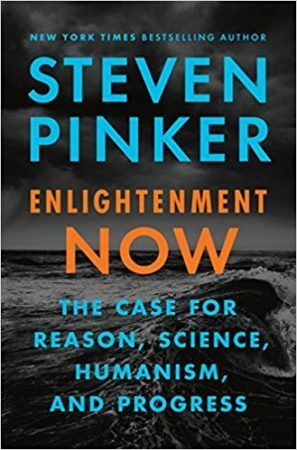 On the one hand, Pinker is an able thinker and clear writer, free of much of the ideological cant and distortions of vision that today accompany most writing about society (for society is what this book is about), and he is mostly not afraid to follow his reasoning to its conclusions. His data on human progress is voluminous, persuasive, and extremely interesting. On the other hand, Pinker regularly makes gross errors about history, some of little import, but some that undermine the entire thesis of his book—which is that that the Enlightenment is the sole cause of the human progress he illustrates. This is a short book with a sweeping thesis. 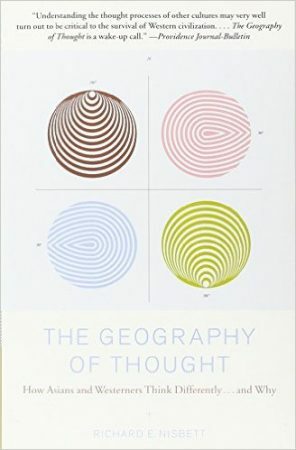 In essence, the thesis of The Geography of Thought is that many important cognitive processes dominant in East Asian (i.e., Chinese, Japanese and Korean) cultures are substantially different from those processes in Western (i.e., American and European) cultures. This proposition explains a variety of dissimilarities in how people from each culture approach the world and each other, and it is also a partial explanation of the Great Divergence—why the modern world was created by the West, and by nobody else, to the lasting (so far) benefit of the West. While the author, Richard Nisbett, goes to great lengths to not ascribe superiority to one type of cognition over another, his cultural analyses show why the Scientific Revolution and the Industrial Revolution could not have happened in East Asia. As they say, though, past performance is no guarantee of future results, and perhaps the relative value of Western ways of thought has passed its use-by date. In the middle part of the twentieth century, before The Walking Dead, the historiography of civilizational collapse was dominated by Arnold Toynbee’s multi-volume A Study of History, with his “challenge and response” dynamic. Before that, stretching back into the nineteenth century, other analyses analogized the lives of civilizations to the lives of humans, most notably in Oswald Spengler’s enormously influential The Decline of the West, published in 1918. And many other writers over many centuries have, in different ways, examined why civilizations fail, the classic early modern example being Edward Gibbon’s analysis of Rome. 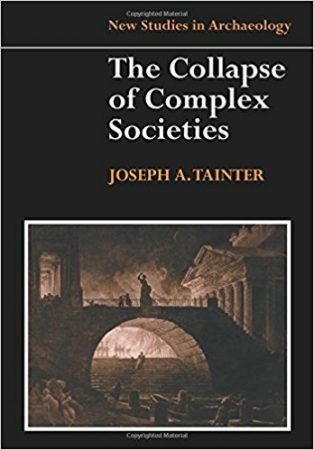 Joseph Tainter arrived in 1988, with this book, to offer an alternative—namely, total economic determinism filtered through a framework of his own devising. Not a very successful framework, to be sure, but at least one that provides some food for thought. Sometimes I think it is a fool’s errand to study economics and hope for enlightenment. Much economics knowledge is too simple for that goal—for example, the relationship of supply and demand to prices. Such facts are easy to grasp through direct personal experience. But beyond that, actual enlightenment never comes, because, as everybody knows, economics is not a science. Economists can’t even analyze the past with any precision or unanimity, much less the future. 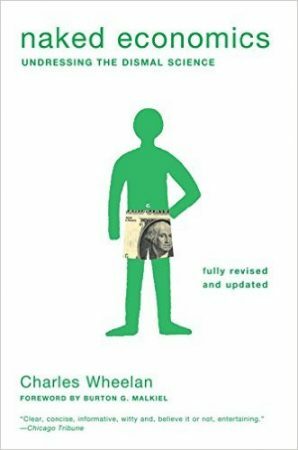 Because I thought highly of the explanations of monetary policy in Charles Wheelan’s Naked Money, I hoped that by reading this book I would at least move further down the curve toward enlightenment. But even the best writers cannot spin straw into gold. The Gunpowder Age succeeds in its lesser goal, which is convincing the reader that the common belief the Chinese only used gunpowder for fireworks is wrong. But it fails in its greater goal, which is convincing the reader that except for a brief period in recent history, China has been the equal of the West in the technology of warfare. And, in the wreckage of its failure, it confirms and reinforces the accurate perception that China has, for a thousand years, been lacking in scientific and cultural innovation. Since a lack of innovation has negative implications for the Chinese future, and by modern Western standards is a negative judgment on Chinese society, this is probably not the effect that the Sinophile author of this book, Tonio Andrade, intended to achieve. I have read David Goldman for a long time, under his alter ego, Spengler, a columnist for the Asia Times. His columns are invariably excellent—pithy, insightful, and a pleasure to read. But the talent set required to be a columnist is very different than that required of a book author. Many columnists are unable to write a book that is other than either a set of compiled columns or a padded out column. The late Joseph Sobran, who wrote for National Review when it was more than a forum for third-rate neoconservatives angling for jobs under Republican politicians, was one such. 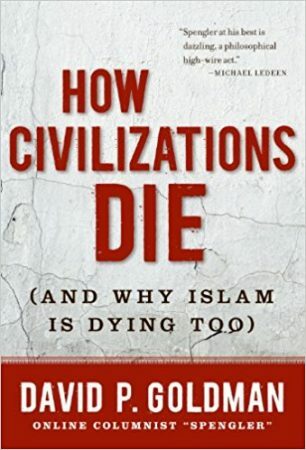 David Goldman is another, and it shows in the many defects of this 2011 book, How Civilizations Die. 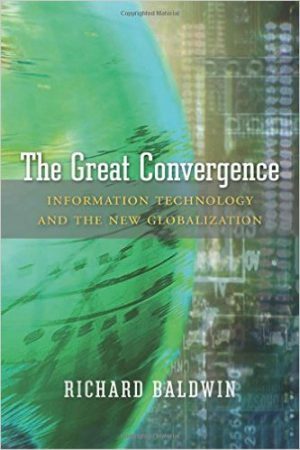 This book mostly claims to be a book about “globalization,” today’s trendy word, but really, it is a book about industrial revolutions through time and space. The author, Richard Baldwin, offers a new framework for understanding how the world has developed since the Great Divergence, led by England, that created centuries-long worldwide economic dominance by European cultures. In particular, he offers an explanation why, since 1990, the relative share of the global economic pie held by the West has decreased, when it had never decreased before. All this is interesting and valuable, in particular Baldwin’s conclusion that American critics of globalization are at least partially correct. But it’s incomplete in the end, since Baldwin’s analysis completely omits the critical role of culture and institutions as related to a country’s capacity to develop. Instead, he treats all humans as interchangeable members of homo economicus: a fatal error, but one common to academic economists. It is hardly news that the West has led the world economically for the past 200 years, or more. 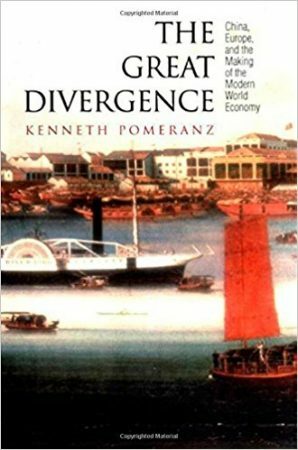 This superiority (let’s be honest—that’s what it is) academics commonly call the “Great Divergence,” a term coined by Samuel Huntington in 1996, though the study of Western economic superiority began much earlier. There are many sub-questions one can ask—e.g., what constitutes “the West”? Is it England? England and parts of the Continent? How does America fit in? When exactly did this takeoff begin? Are other countries now catching up, or even passing, the West? But these sub-questions are all small change compared to the most important question—why did the West diverge from the rest of the world at all, when all of world history up to that time exemplified the Malthusian Trap, where productivity increased too slowly to increase per capita output even when aggregate output increased? Last month, in December 2016, maybe as a Christmas gift to himself, Thomas Sowell announced that he was retiring. Technically, he announced that he was retiring from writing a syndicated column, but at age 86, it seems likely that he does not intend to write any new books, either. This is unfortunate, but his work is done. 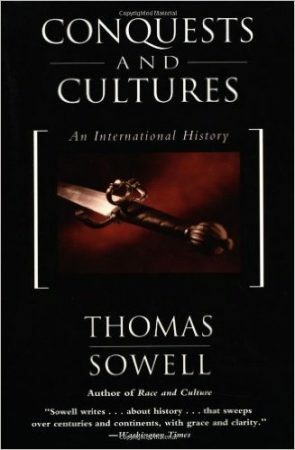 There can be little doubt that Sowell’s many works, taken together, by themselves would be adequate to educate someone raised by wolves on everything any person needs to know about economics, political economy, and much of history.